WAFFLES: T - E - A - M. Team, what? Hey Boss, what does it say? I forgot how to read. KATIE: Cat, Waffles. 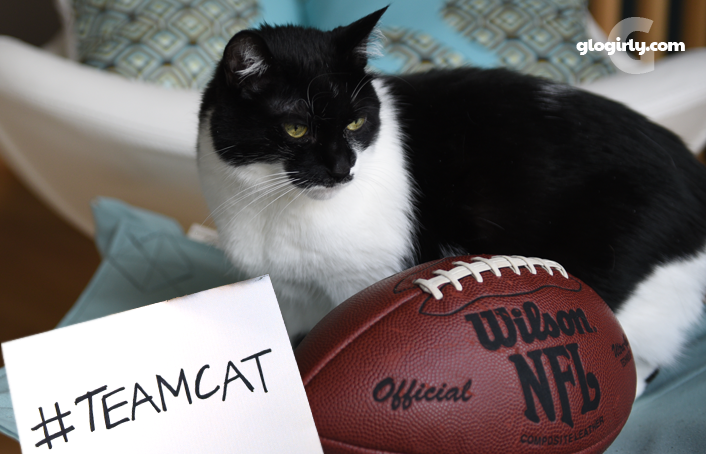 It says #TeamCat. WAFFLES: BOSS!!! Does this mean we're on the same team??? COOL! KATIE: Under any other circumstances I'd say, not cool. But this is different. #TeamCat is something very special in support of The Lucy Pet Foundation. Did you know that 80,000 cats and dogs are euthanized every WEEK? Every week. Shelters simply can't keep up with the number of animals they take in. A shelter may have 30 adoptions over a weekend, only to take in 50 animals the next week. And so on, and so on. The Lucy Foundation is committed to wiping away that number by establishing mobile spay/neuter and adoption clinics in every major city across the country. One mobile clinic can spay and neuter over 120 cats and dogs each week. Doing this 48 weeks of the year means 6,000 animals will be spayed and neutered. This will prevent those animals from adding a MINIMUM of 15,000 new and potentially homeless animals into an already overcrowded pet population. By year three, it's estimated they can prevent over 500,000 animals from suffering in that same community. This is with just ONE mobile clinic. Imagine the impact of having 40 spay/neuter and adoption mobile clinics nationwide. Now THAT's the kind of math we like! When the mobile clinics are not performing surgeries, they'll be working with local animal shelters to save cats and dogs whose time is up. The goal is to find forever homes for as many homeless pets as possible. Move Over Superbowl... Make Way for Something REALLY Big! 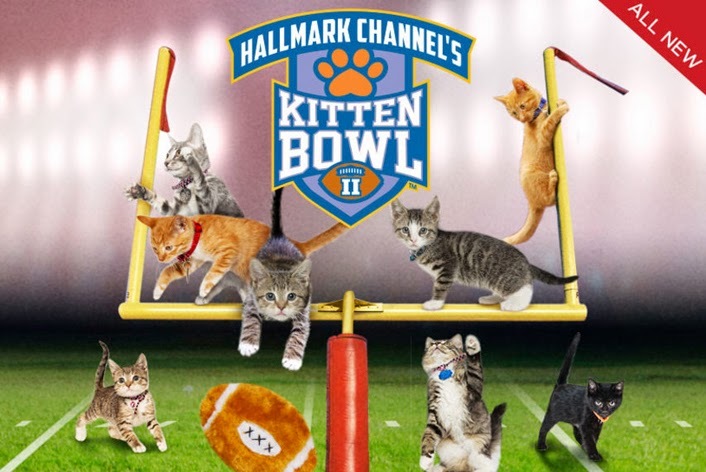 This Sunday the Hallmark Channel's Kitten Bowl II will air at 11am CST/12 noon EST. It's a furry-feline-squeee-fest with adorable kittens whooping it up on a mini football field. 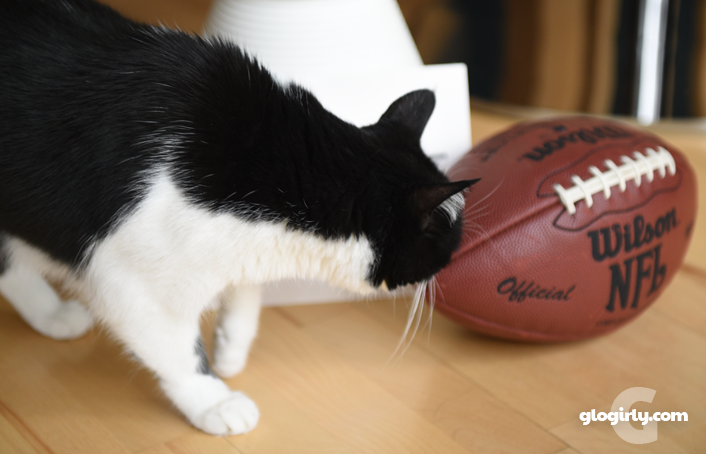 The Lucy Pet Foundation will be airing a not-to-be-missed commercial during the Kitten Bowl. They teamed up with special effects wizard, Sam Nicholson of Stargate Studios (think Walking Dead, 24, Heroes...) to create an ad that features elaborate computer generated images and live action shots of cats and dogs with pet-sized football helmets and uniforms. All in front of a stadium full of cheering fans. 80,000 individual photos of dozens of pets brought in by staff members or rescued from shelters were used in the commercial This number represents the 80,000 dogs and cats that are put to sleep every week in the US. Nicholson donated nearly 90% of the $1 million ad toward the foundation's cause. The commercial is not only exciting, fun and full of meows and barks... in just a few seconds it will move you more than you can imagine. We hope it will help wake people up to the homeless pet population crisis. Here's a sneak peak at the full length commercial... Please share it, tweet it, cheer along with it. 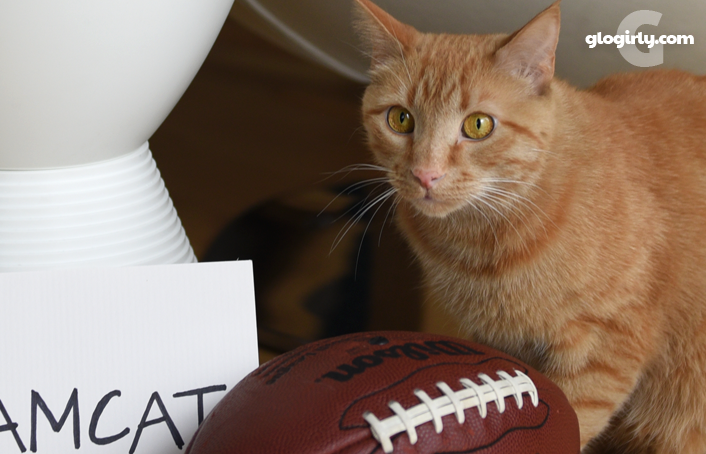 Help promote #TheLucyBowl *Dog VS. Cats* commercial and you could win an iPad Mini! Just take a photo with your pet displaying a #TeamCat or #TeamDog sign and share on Lucy Pet Foundation's Facebook page or via Twitter or Instagram. Even if you don't win, it's super fun and helps spread the word about a great cause. Full details on how to enter are HERE. KATIE: I hope you know how to handle the ball, Waffles. You and me. Sunday. Be there. Join us Sunday for the Katie & Waffles Bowl. ONLY TWO MORE DAYS! 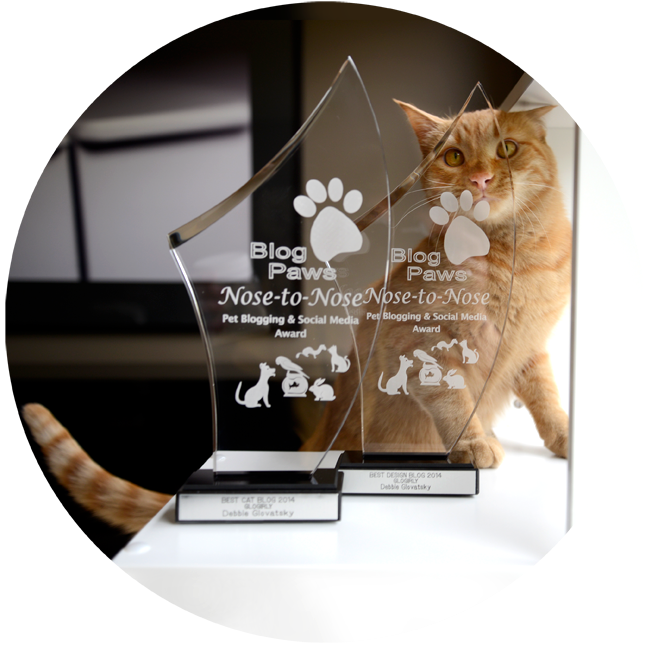 BlogPaws Nose-to-Nose Award Nominations Open Now Thru Jan 31! The BlogPaws Nose-to-Nose Awards are among the most prestigious, honoring the best of the best in pet blogging and social media. For us, they are the most meaningful. As winners of two 2014 awards, we had the honor of donating 600 pounds of premium food to some very special shelter cats. No voting required, these awards are based on merit and excellence. Have you nominated your favorite blogs this year? Check out our Nose-to-Nose Blog Post HERE for all the details on how you can nominate your favorites... blogs that touch your heart, tickle your funny bone, maybe even us. Wouldn't it be amazing if they were nationwide.??? We'll be watching this Sunday! Waffles, we think you had better enjoy being on Katie's team this time. It might never happen again. We're watching Sunday! Will Waffles practice for his game with Katie?!? I was smiling and loving the video until the last few seconds. Whew, just stops your heart, but very effective. Go Team Cat and The Lucy Foundation! We are #TeamCat too :) Waffles, you are still in the lead with the tail contest-tomorrow is the last day so I think you've got it. Just don't "delate" that ball Waffles you can get into a lot of PR trouble for that. Just sayin'! That video is really, really powerful. Hooray for the Lucy Foundation, and what they are working to acomplish. We're #TeamCat here! The Lucy Foundation people are heroes to me!!! We are #Teamcat at our house. Really good commercial. Fabulous post! 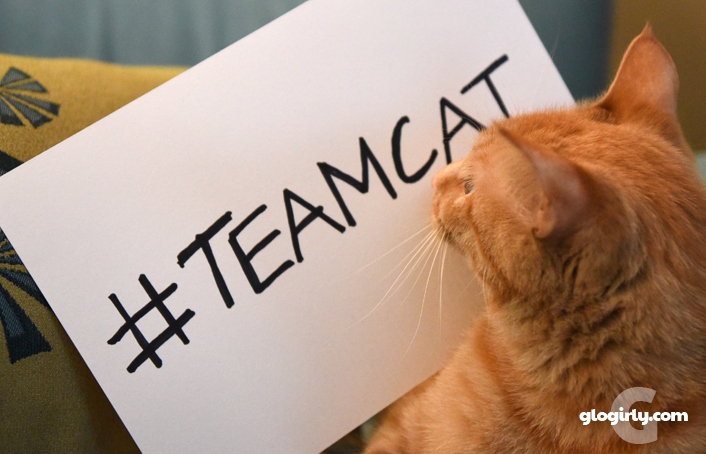 I haven't entered the contest but am going to do it right now - #TeamCat! Have been RT the commercial. Katie, you just make sure your ball is inflated proPURRly! Weez be all 'bout da team cat too. And we sure hope peeps eyes awe opened and fings can stawt to change. I’ve been rocking the #TeamCat avatar for a week and sharing the video. Our mayor recently decided to work with UCFCC to teach our Dept. of Public Works how to TNR. I hope it works.